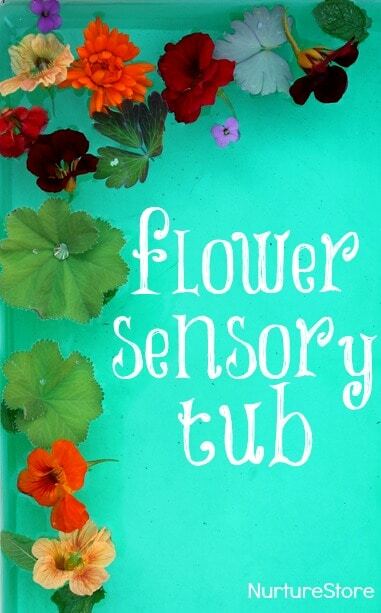 A beautiful flower sensory tub idea that takes just minutes to set up but can give a whole morning of happy play. 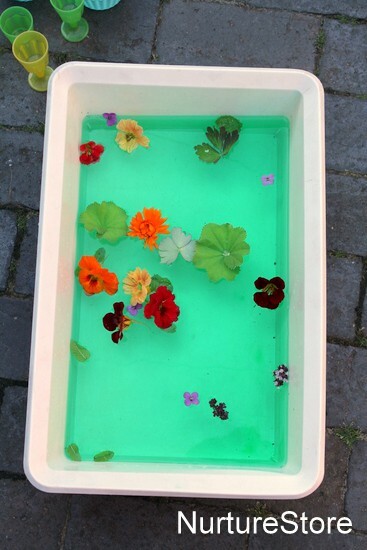 This water play idea was a super quick set-up I put together for my daughter this morning. 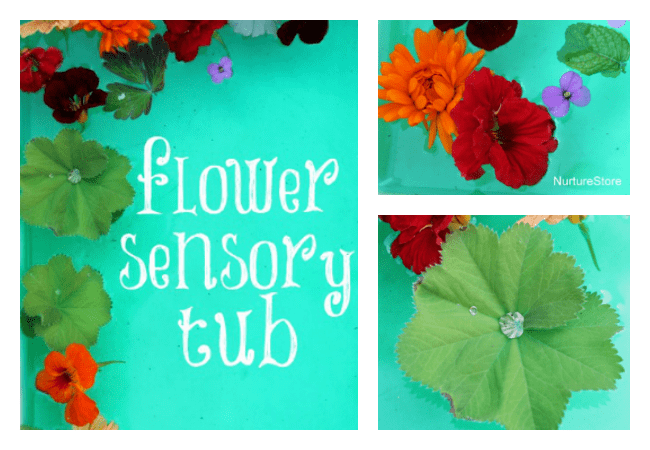 I bet you have everything you need to make this already on hand, and your kids can be ready and playing in minutes. You’ll need a container, filled with water. 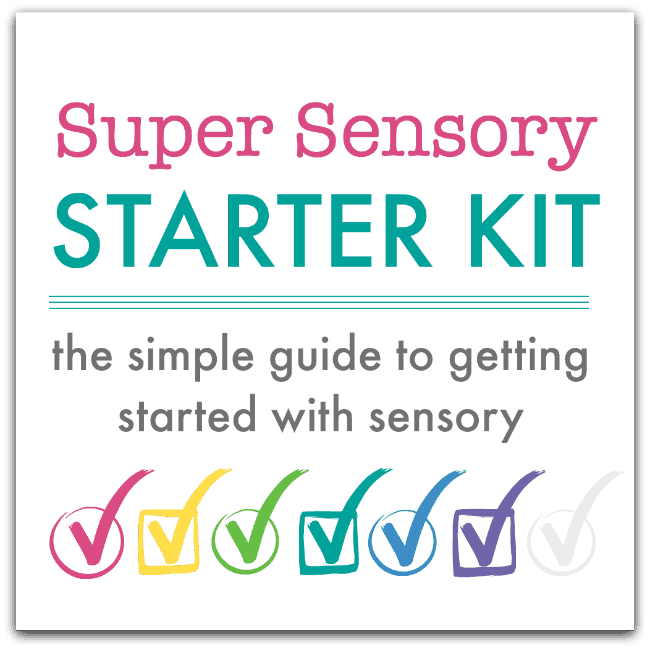 I use this under-the-bed storage box for many of our sensory tubs, as it’s a good size and shape. 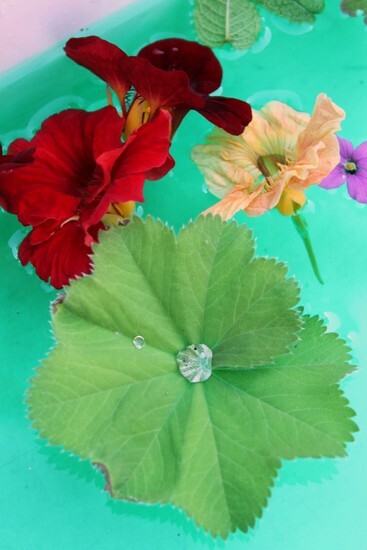 I added a tiny drop of green food colouring gel to the water, but if you haven’t got that you could try a little water paint, or just leave the water clear. Then add some flowers. 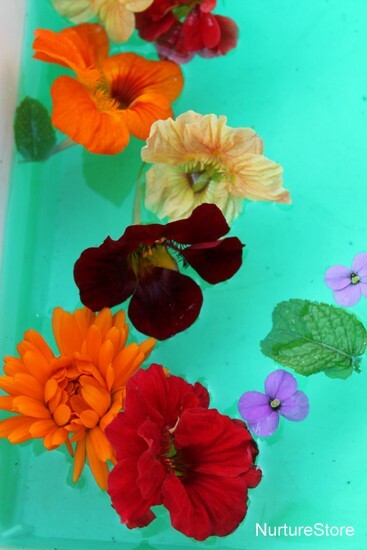 You can use whatever you have in the garden, but try to include an interesting mix of colours and scents if you can. You can send the children off to pick some while you fill the tub. 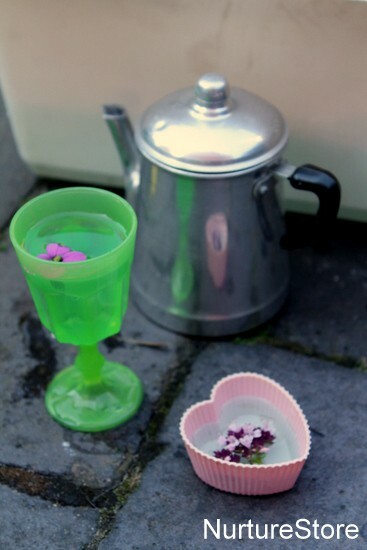 I added in a little tea pot and some cups and bowls from our pretend kitchen…. and the next thing I know we have a pool party happening! Look at Rapunzel and her friends, chilling out and sipping flower cocktails after a dip in the swimming pool. And whole morning of imaginary play in the sunshine.